Generally, coming home from travel can be a little bit difficult. Usually, you have changed so much for the better that you come home to find it all a bit of disappointment, especially because it usually feels as if nothing has changed. But you always seem to find solace in the fact that you are a better person than your former self. You’re wiser, a better citizen, and definitely more adventurous. Well, this is the first time I’ve ever returned home to really hate my former self. He was better than me, he was fit. You see, when I left Canada some 4+ years ago to chase the travel dream I was 175 pounds and about 7% body fat. And the fact that all the muscle is gone and has now been replaced by a thin layer of fat doesn’t bother me, but it does give a shot to my system and reminds me of how thing used to be. This whole trip through Canada, actually was the first time I ever started to feel old, or at least realize I’m getting older. I once ran a mountain marathon on my own over the Skyline trail in Jasper in 7 hours. This time, I did the trail in three days. I once pushed a mountain bike up a mountain, then rode it down at top speed. This time, I a middle aged man beat me down and made me cry for mommy. At the Canmore Nordic Center, just up the hill from my grandparent’s old house – the same one I was once yelled at by my grandfather for doing a canon ball in the hot tub – I felt so reminiscent of the past, but so far from it. I hoped on a mountain bike with a guide from Trail Sports and thought I was about to whizz around the beautiful landscape. Instead, I found myself wheezing for breath at nearly every turn. My legs burned muscles that I forgot I had. And every little hill might as well have been a mountain. There’s no greater reminder that you’re out of shape than feverously peddling a mountain bike up a hill while a middle-aged man stands waiting for you to either arrive or die of exhaustion. That being said, if there’s any place in the world to die, it’s the foot of the mountains in Canmore. 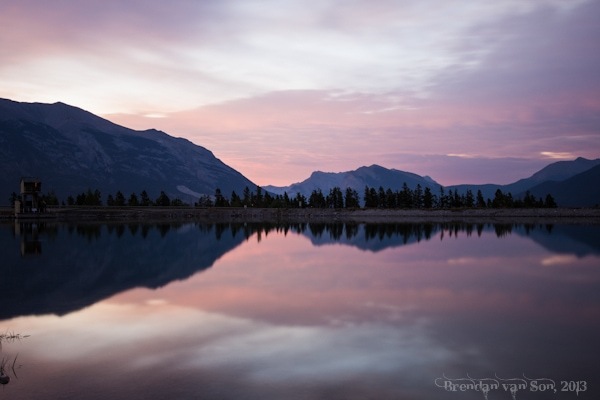 Though it’s just at the gates of Banff National Park, it’s completely different. 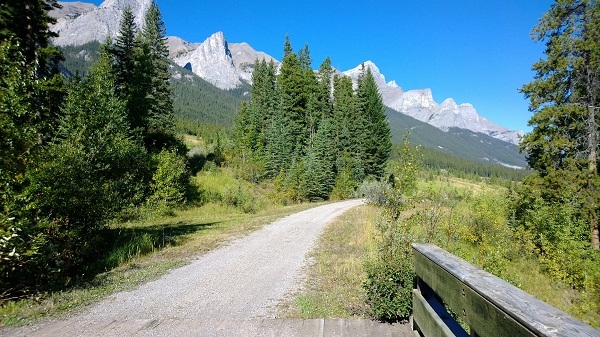 Canmore is more local, more outdoorsy, and certainly sportier. Of course, the setting is unreal too, though unlike Banff you don’t have to elbow your way to get down mainstreet. 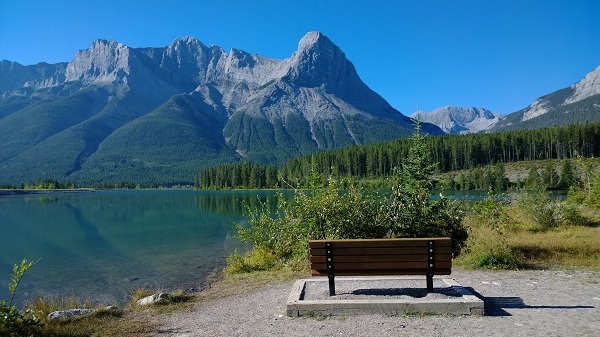 Though just 30 minutes away, and at the foot of the same mountain, Canmore feels worlds away from touristy Banff. The Canmore Nordic Center was home to the 1988 Winter Olympics, and instead of falling into disarray it has flourished. New trails have been forged, and old trails have been improved, or allowed to be re-taken by nature. In the winter cross-country skiing takes hold of the park. But in the summer, mountain bikers and cross country skaters still swarm the beautiful Nordic Center grounds. My morning physical beating wasn’t all the way complete until I decided to launch myself over the handlebars of my bike on a downhill section of the track. When all was said and done, I was left walking away with my tail between my legs and my pride as a former athlete logged somewhere deep in the past. Previous ArticleThe Nokia Lumia 1020: The Perfect Travel SmartPhone?